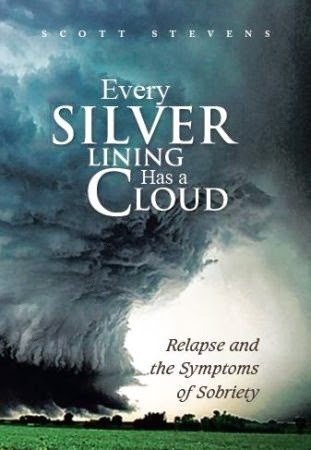 "Every Silver Lining Has a Cloud : Relapse and the Symptoms of Sobriety," by Scott Stevens, is a book about recovery and alcoholism that focuses on why alcoholics tend to relapse. The narrator, a recovering alcoholic, begins by describing a lapse in his recovering that occurred after years of being sober. During his ensuing recovering, which entails jail time and a rehabilitation program, he analyses what lead to his lapse. He reflects on his own life, as well as other resources, including scientific research. His assertion is, that for the alcoholic, sobriety is the dangerous state, and recognizing when the alcoholic is suffering under sobriety is key for ensuring he does not return to the bottle. The book's writing is accurate, covering what the alcoholic feels and what the non-alcoholic wonders. One of the strenghts of this book is that it gives answers, rather than just asks questions, which are backed by unbiased professionals. Whether you are an alcoholic, an alcoholic's loved one, or just want to be more informed about the illness, "Every Silver Lining Has a Cloud" will answer lots of questions and allow you to be much more informed about the illness and recovery.